Comes with Chain or without Chain. Lead animal by the chain or handles. Place lead into the animal's nostrils and close gently. 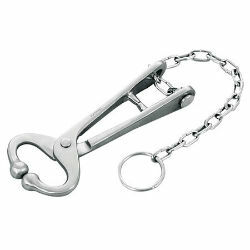 Secure handles with 13 1/2" nickel-plated metal chain.